Strategic Marketing Secrets! is an all “bull-stuff banned (you know what I mean), no-hype, down-to-earth, here’s what works now” newsletter packed with tested and proven fail-safe, profit-certain “how-to” strategies, techniques and tips for rapidly growing your business online and offline. If you’re looking for low-cost, no-cost ways to make more money and drive new traffic to your website using minimum-risk, no-risk and maximum-profit marketing concepts –then you’ll love what you get in each and every issue. Yes, each exciting issue lets you “in” on a dazzling array of powerful, proven, highly-profitable, high-leverage opportunities just begging to be taken advantage of. The same kind of insider-breakthrough-information used by savvy people to build their fortunes in the first place. Discover why famous Millionaire Marketers are found on my subscriber list and how they profit using the specialized research and strategies I reveal in each wealth-building issue. 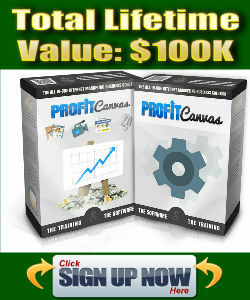 Discover how I created systems which have generated over $50 Million in revenue! If you’re not already subscribed, subscribe to my mailing list now for updates.